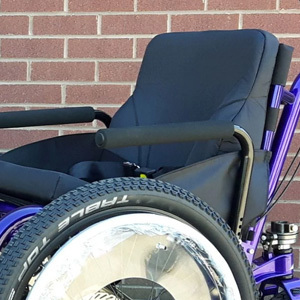 The eTrike our electric assist all terrain wheelchair. 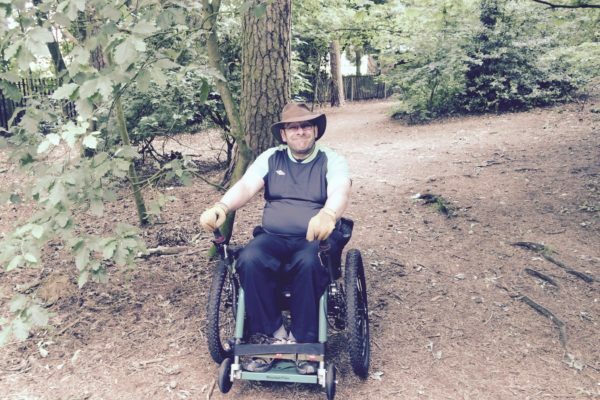 Suitable for a wide range of users - those who would like some assistance to travel off road or active users who want to go further, faster or tackle more challenging terrain. 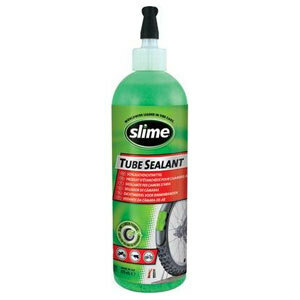 Manually by pushing the drive levers allowing the rider to have clean, dry hands whatever the weather. Hybrid by pushing drive levers and twisting throttle simultaneously. 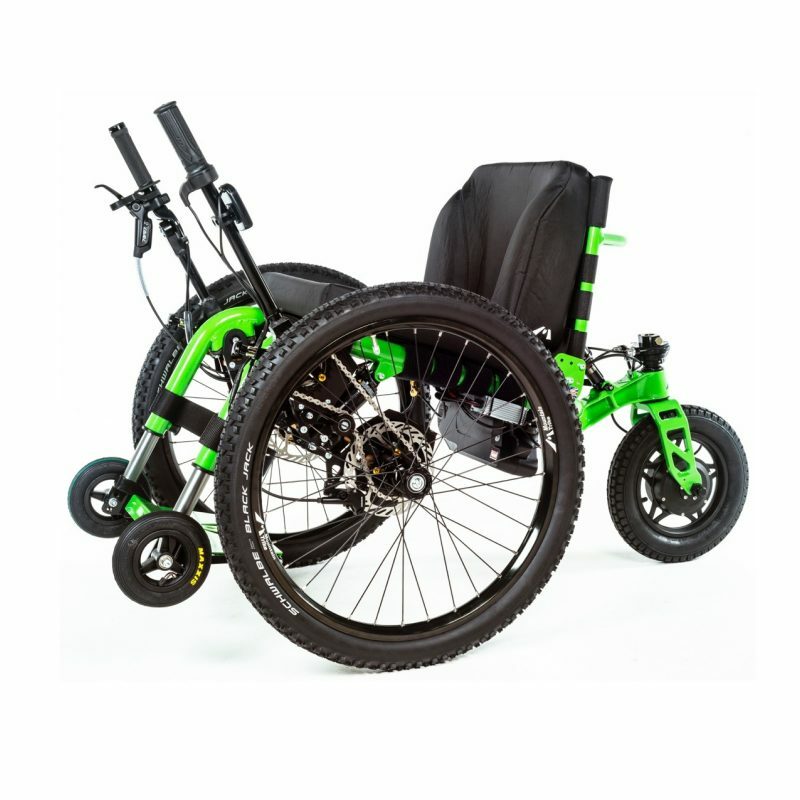 This revolutionary all terrain wheelchair allows you the ability to combine manual power with electric assist as and when you want. The distance range will depend on conditions, user weight, speed and terrain. 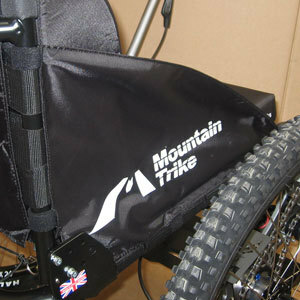 If you already own a Mountain Trike there is an electric assist kit which can be fitted to your existing Trike. See our adaptations page. 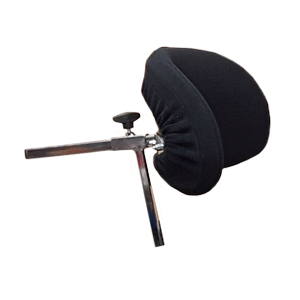 Twist grip or thumb lever. 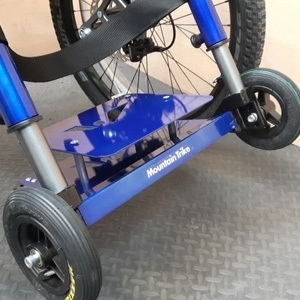 Simple and easy to use, adaptable for different users needs such as those with the use of one arm. 250W, 36V Hub Motor with 5 power settings from full power (level 5) to 50% power (level 1) offering a maximum speed of 8mph. Battery 12.8Ah, 36V lithium Ion battery which includes main charger. LCD screen with speed, distance, average speed, max speed and power settings. 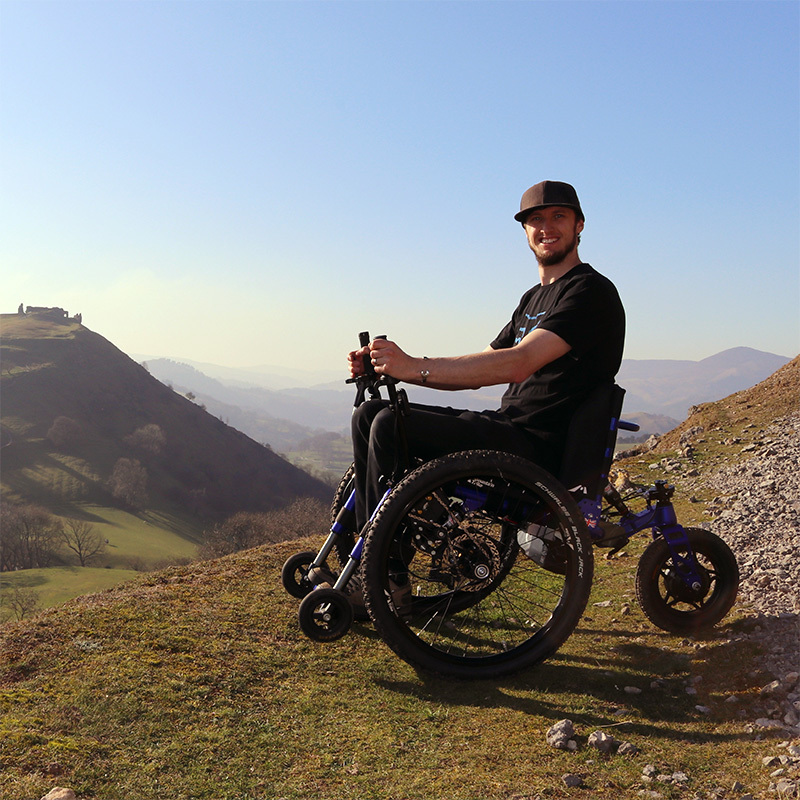 The unique direct drive steering means that you can steer and drive the Trike with only one arm, leaving a spare hand for... holding hands, using the phone, walking the dog or even holding a coffee! 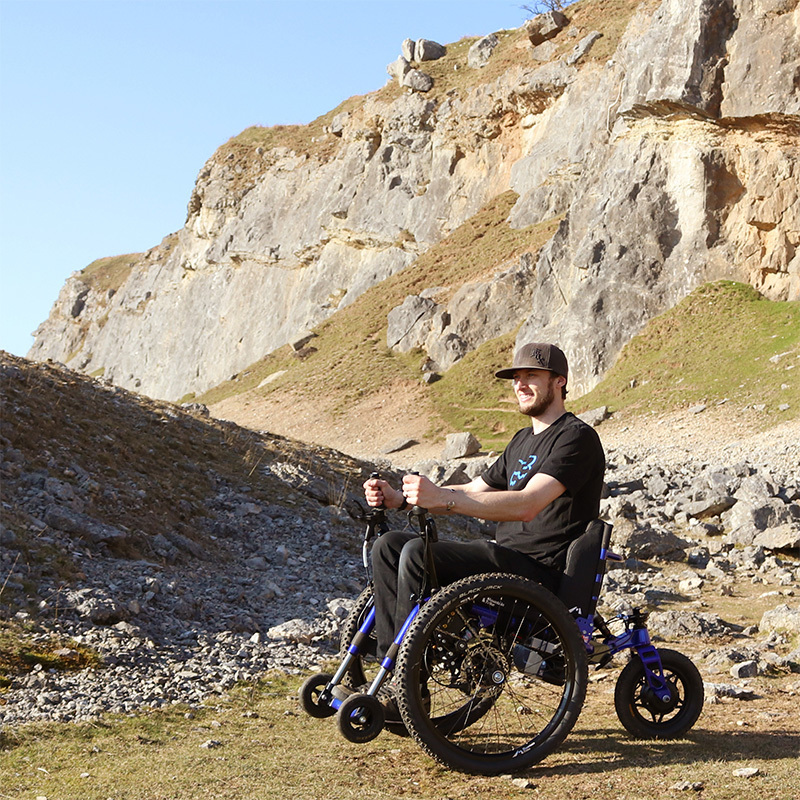 The steering gives excellent control for smooth turns and an easy ride across slopes. 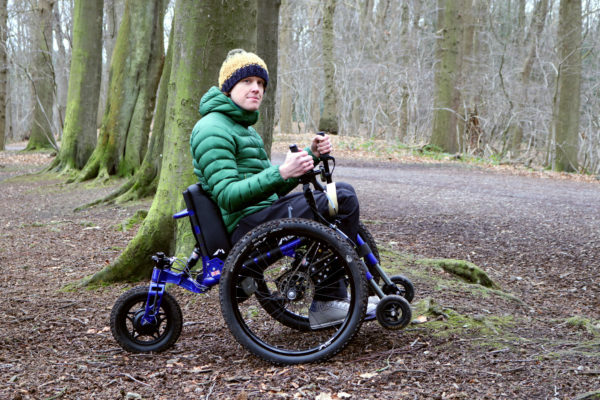 Gives you great control and braking in all weather, over difficult ground and steep hills. 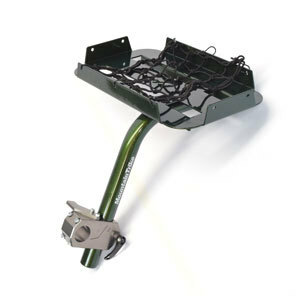 Adaptable and adjustable just for you!